top beachfront hotel in boracay | Badudets Everything Nice! 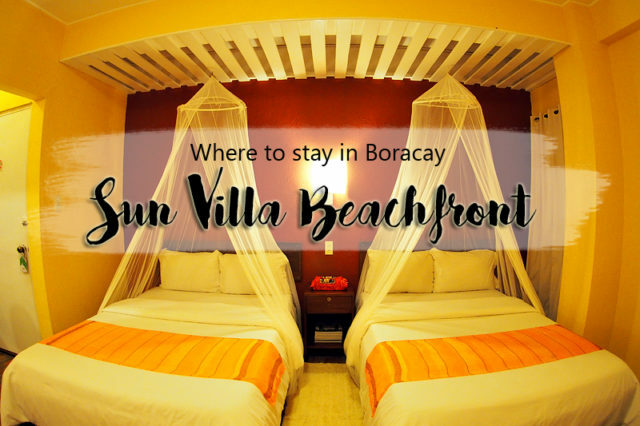 Bask in the beauty of Boracay shoreline and get a full view of the island life when you stay at Sun Villa Beachfront, located along the middle of White Beach, between Stations 1 and 2. The Sun Villa Beachfront is just a few meters away from D’Mall, Boracay’s main shopping center, and right in the midst of Boracay’s jumpiest clubs, bars and restaurants. It has 18 airconditioned rooms with private toilet and bath, hot and cold shower, free wifi and cable TV.